The fatal shooting of a man at 17400 Saturn Lane in Clear Lake about 6:30 p.m. Monday, June 22, will be referred to a Harris County grand jury, Houston Police said Tuesday. The identity of the deceased male, 48, who was driving a truck, is pending verification by the Harris County Institute of Forensic Sciences. 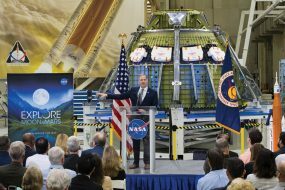 The male shooter, 27, who was driving a Chevrolet sedan, was not injured in the incident, which occurred less than a mile from NASA’s Johnson Space Center. A man was following another man in their respective vehicles as they left work, HPD Homicide Division Officers M. Dykens, R. Nunez, J. Saldana and A. Vinogradov reported. The male pulled up alongside the suspect’s vehicle at two different stop lights and threatened him both times. “As the threatened male attempted to drive away from the other vehicle, the first male intentionally steered his vehicle into the path of the other man’s vehicle and struck it.” The male then got out of his vehicle and, as he approached the disabled vehicle, the male inside the vehicle pulled out a pistol and fatally shot the approaching male, the officers added. Neither driver’s name has been released by police.